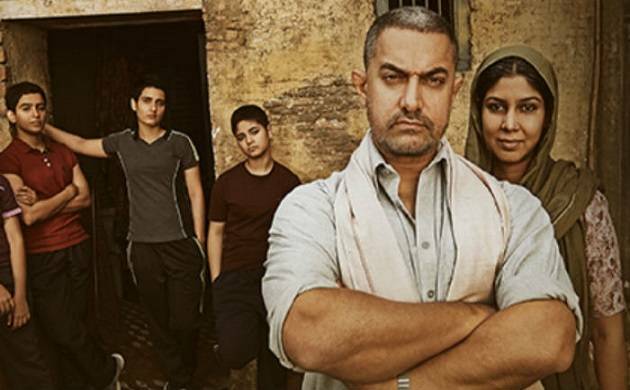 Aamir Khan starrer biopic 'Dangal' is ruling the box office of China and across the world after smashing down a good many records in India. After the 17th day of its release in China, the movie has grossed around $113.09 Million or Rs 729.48 Crore all over China. Not only in China, the movie is also doing wonders in several foreign countries of the world. In terms of worldwide collection 'Dangal' is only next to 'Baahubali: The Conclusion' which has already entered the 1,500 Cr club earning an amount of Rs 1540 Cr across the world. In spite of facing a competition with marvel's blockbuster 'Guardians of Galaxy 2' which was released simultaneously in China. Zaira Wasim starrer which has already crossed 100 Million in overseas has already managed a position amongst Top 50 highest grossing movies in China ever. Let's have a look at the box office collection of this blockbuster in different regions. Day 10– 12.72 mil. USD [Rs. 81.46 crore.] with 24,60,541 admissions. Day 11 – 5.01 mil. USD [Rs. 32.46 cr.] with 11,18,187 admissions. Day 12 – 4.7 mil. USD [Rs. 30.44 cr.] with 21,17,166 admissions. Day 13 – 4.2 mil. USD [Rs. 26.90 cr.] with 942,444 admissions. Day 14- 3.75 mil. USD [Rs. 24.3 cr.] with 844,217 admissions. Day 15- 5.99 mil. USD [Rs. 38.61 cr.] with 13,54,352 admissions. On its 16th day, it has 16.24 mil. USD [Rs. 104.66 crore ] in China. 1130 Crore gross All Versions after Day 14 in China. 511 Crore gross in India. $131 Million or Rs 869 Crore gross overseas. Also starring Fatima Sana Saikh and Sakshi Tanwar the movie has previously hit the Indian box office on December 23 last year and had shattered all the box office records so far. On the work front, Aamir Khan, the Mr. Perfectionist of Bollywood is currently busy shooting his upcoming venture 'Secret Superstar'. Also starring Meher ji and helmed by Advaid Chandan the movie is expected to release on August 4, 2017.